Carolina started her career as a classical Ballet dancer. Then she worked for renowned contemporary dance companies in Colombia, her home country, with which she performed in several countries in South America and Europe. She moved, then, to London, England and earned a diploma in dance and choreological studies at the Laban Centre. While in England, Carolina suffered from injuries in her back and left knee. It was through Pilates that she understood the connection between body/mind, learned about her own faulty patterns of movement and not only recovered but continued her career as a dancer succesfully. 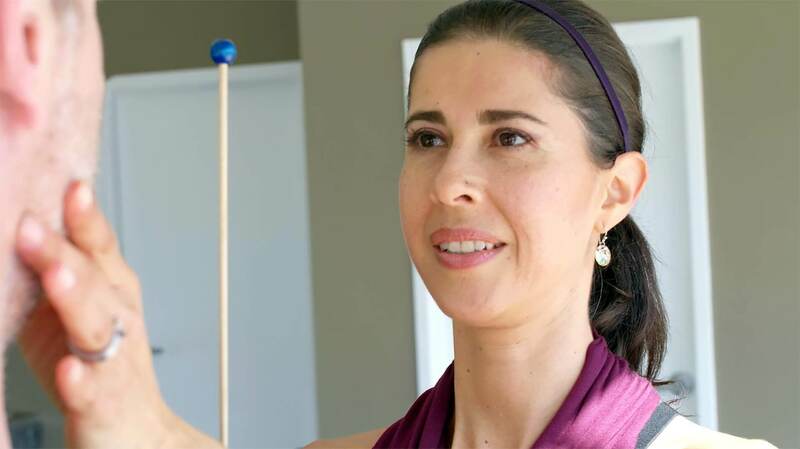 Carolina obtained her certification as a Pilates instructor from Body Control Pilates in the UK and with Balanced Body University and McEntire Pilates in the US. She is pleased to be a McEntire Pilates educator for spanish speaking countries. Carolina is a master teacher of BioCored Suspension Training technique and has been studying Neurology for Movement with Dr. Eric Cobb Z-Health. She has completed the R-Phase and I-Phase of Z-Health Training. Throughout her career of over 20 years, Carolina has taught private and group classes of: Yoga, contemporary dance, creative movement, Pilates and Suspension Training in places including Bogotá -Colombia, London-UK, and Grand Rapids-US. Her passion is movement and helping people restore their health back into their bodies as well as assist clients achieve their highest athletic performance.